Looking for a big vault? With over 30 years supplying the international community with unparalleled security options, International Vault provides one of the biggest vault solutions available today. 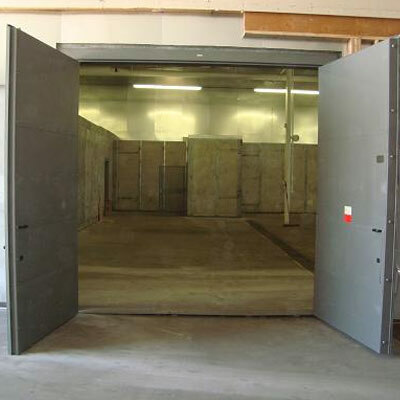 featuring modular vault panels and heavy-duty concrete construction. Reduce overall modular vault costs. Delivers a spacious, high-security area. The MacroVault Modular Vault System has been performance tested by Underwriters Laboratories to meet UL 608 Standards and GSA AA-V-2737 Standards. As UL and GSA have the most stringent testing practices in the world, our product certifications translate to equivalent Health Canada, SAVS, and European Standard 1143 for worldwide vault conformance. Interested in learning more about the new MacroVault high security storage system from International Vault? Contact us today for more information about the MacroVault System or call at 844-311-3132. Whichever vault solution you choose from International Vault, you come away not only confident in exceptional security of the delivered result, but satisfied that every measure has been taken to custom fit your chosen solution to the unique and individual needs of your project. At International Vault, unparalleled security and customer satisfaction go hand in hand. Learn more on our Custom Vaults page.